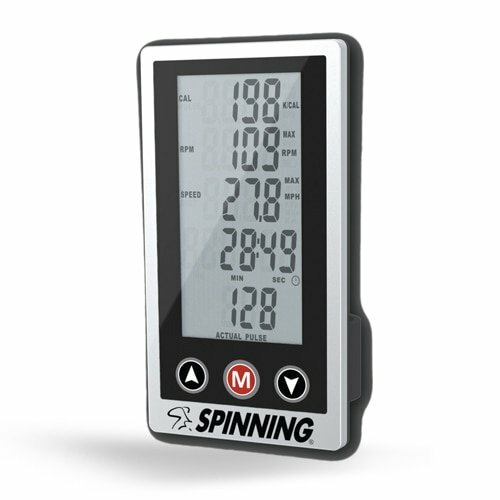 The Spinning BIO HR Wireless Computer provides precise metric measurements and valuable feedback to make your Spinning training a success at home, the gym, or wherever you choose to ride. Recommend for Spin or Spining indoor cyle bikes only. Manufacturer: Mad Dogg Athletics Inc. Publisher: Mad Dogg Athletics Inc. Studio: Mad Dogg Athletics Inc. If you have any questions about this product by Spinning, contact us by completing and submitting the form below. If you are looking for a specif part number, please include it with your message.